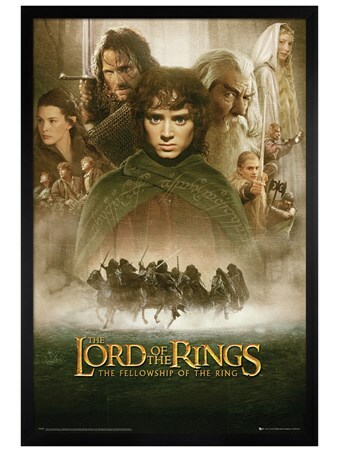 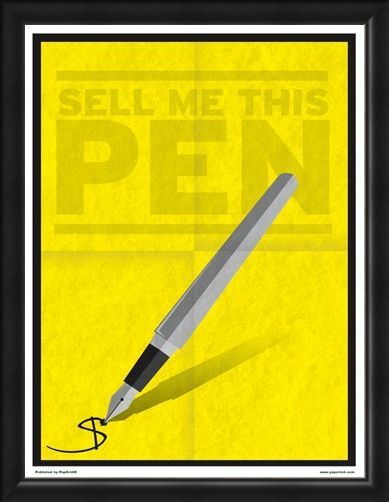 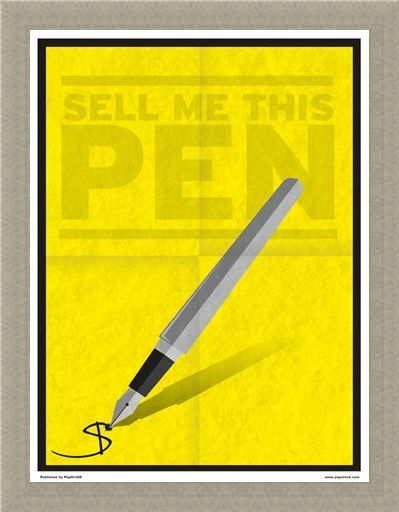 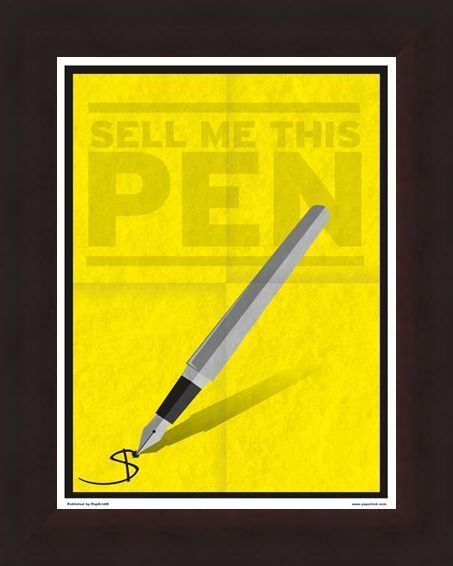 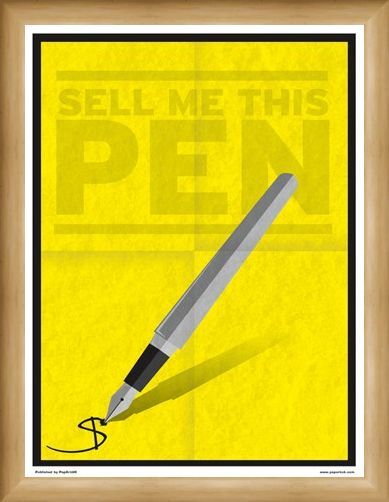 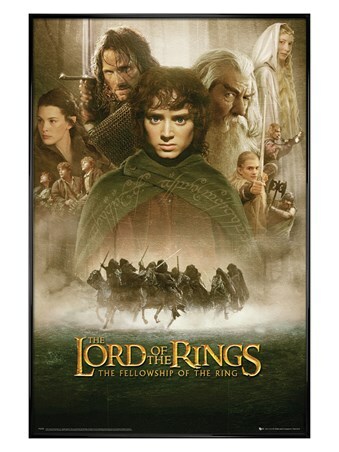 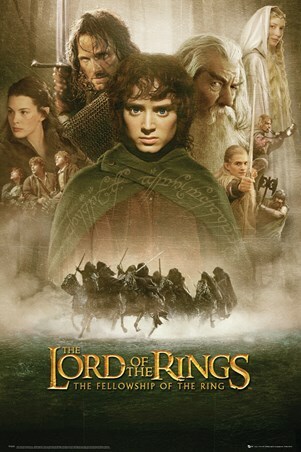 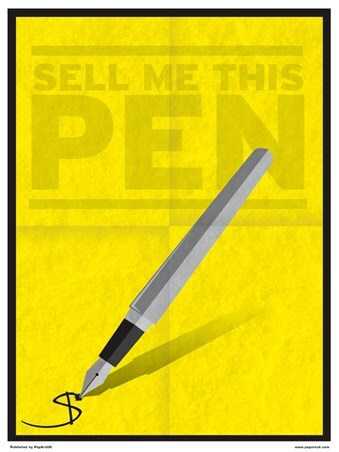 Film Mini Poster: "Sell me this pen". These are the final words uttered by Leonardo DiCaprio, who plays the real-life character Jordan Belfort, in the awesome film 'The Wolf of Wall Street'. Have a sales lesson from one of the most successful, and corrupt, New York stockbrokers who had the ability to sell almost anything. 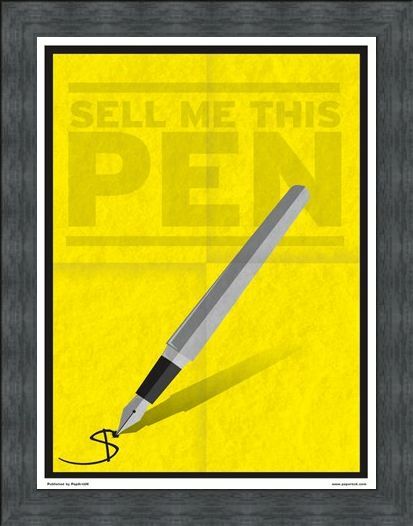 If you were captivated by the true story of Jordan Belfort in the breath-taking Oscar award nominated film, then this is a great way to remember its incredible story and get you seeing those dollar signs everywhere you go. 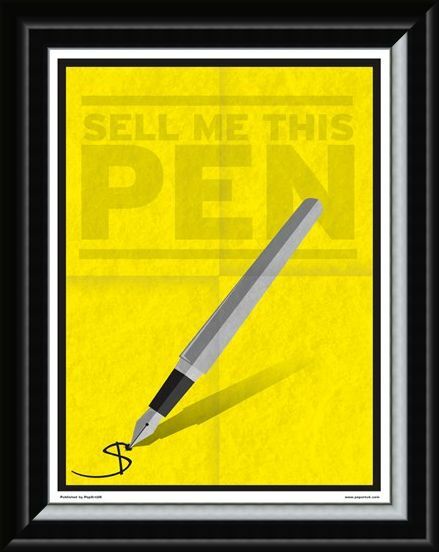 High quality, framed Minimal Movies: The Wolf Of Wall Street, Sell Me This Pen mini poster with a bespoke frame by our custom framing service.